On the 26th of October 1914, Jackie Coogan was born in Los Angeles, CA. From infancy, his actor father enrolled him into roles in vaudeville and film. He was discovered by Charlie Chaplin at the Orpheum Theatre, L.A., where Jackie charmed him with his shimmy dancing and miming talent. 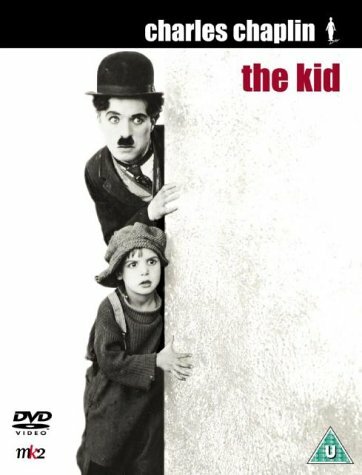 Chaplin soon cast him in various roles, the best known of which, as the first child actor to play in a full-length movie, is the silent comedy drama The Kid (1921). Jackie played the little partner-in-crime of Chaplin’s character, a lovable tramp, who rescued him from the streets as an abandoned newborn. In the dawning era of advertising, he became one of the first children to be extensively used in screen commercials for various merchandise from peanut butter to music records. Having been privately tutored for most of his childhood, at the age of 10, Jackie enrolled into the Urban Military Academy, trying various higher education establishments whose courses he never finished due to poor grades. At the age of 19, he was said to have been involved in the revenge lynching of a gang who had kidnapped and killed his university friend Brooke Hart. Two years later, he was the only survivor of a fatal car crash, in which his father and fellow child actor friend Junior Durkin died. In 1941, Coogan enlisted in the U.S. army and became a glider pilot. In 1944 he flew British troops in India; one particularly interesting incident in his military career was documented in Donovan Webster’s The Burma Road: The Epic Story of the China-Burma-India Theater in World War II (2003), according to which Coogan performed a night landing in a small jungle, clearing 100 miles behind Japanese enemy lines. After the war, he returned to acting, mainly in television series, his most famous role being that of Uncle Fester in ABC’s The Addams Family (1964–1966). After four marriages and four children and a remarkably eventful life, Hollywood’s once favourite kid passed away suddenly at the age of 69. In later life, as a stoic Catholic, Coogan went on to become an important activist and philanthropist supporting children’s causes all over the world, helping raise over $12 million in Europe and the U.S. and being honoured by state officials including Pope Pius XI. (Vicken Babkenian, ‘Hollywood’s First Celebrity Humanitarian that America Forgot’, Armenian Weekly, Watertown, MA, 7 January 2011). I never knew that Uncle Fester was that kid out of Charlie Chaplin. Thanks for educating me on that point.